Jennifer Huelskamp is an Associate in the Litigation Practice Group with a practice focused on Employment Litigation. Jennifer represents employers in several areas of employment law, including defending claims under Title VII of the Civil Rights Act (Title VII), the Age Discrimination in Employment Act (ADEA), the Americans with Disabilities Act (ADA), the Family and Medical Leave Act (FMLA) and related laws. Jennifer also has experience in the areas of non-competition, non-solicitation, non-disclosure, trade secret, breach of contract and breach of fiduciary duty disputes. 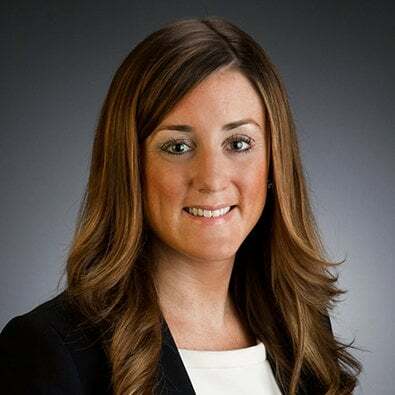 Prior to joining Freeborn, Jennifer was an Associate in the Litigation Practice Group at Katten Muchin Rosenman LLP where she gained extensive experience in commercial, financial services, white-collar and insurance fraud litigation. Jennifer’s trial experience includes preparing witnesses for direct examination, performing direct examinations at trial, preparing witness outlines, drafting trial briefs, motions in limine, jury instructions and verdict forms. During law school, Jennifer worked as a Judicial Extern to the Hon. Charles P. Kocoras and the Hon. Morton Denlow, United States District Court, Northern District of Illinois and as a Law Clerk in the Juvenile Division of the Cook County State’s Attorney’s Office. Prior to law school, Jennifer worked as a litigation consultant at FTI Consulting where she assisted with various financial restatements and investigations for large national and international companies and assisted in drafting numerous expert opinions. Employment Discrimination Case Victory for Client Elite Protection & Security, Ltd.
Rachel Atterberry and Jennifer M. Huelskamp helped Freeborn client Elite Protection & Security, Ltd. secure victory in defending against a Title VII discrimination claim filed by a former employee of the company.